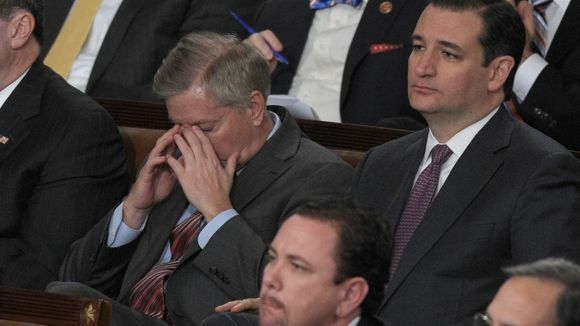 At this point last year, if anyone predicted that Jeb Bush and Lindsey Graham would be endorsing Ted Cruz as, in essence, the lesser of two evils, no one would believe them. Similarly, if you had told me that Ben Carson would endorse Donald Trump, who called Carson “pathological” and likened him to a child molester, I also think that few people would believe you. At CPAC, where Carson suspended his campaign, he declined to endorse a candidate and said that if he were to endorse someone they would need someone whose ideas are clear (not Trump) and who treats others and their family well (Trump mocked his life story and cheated on his wife). 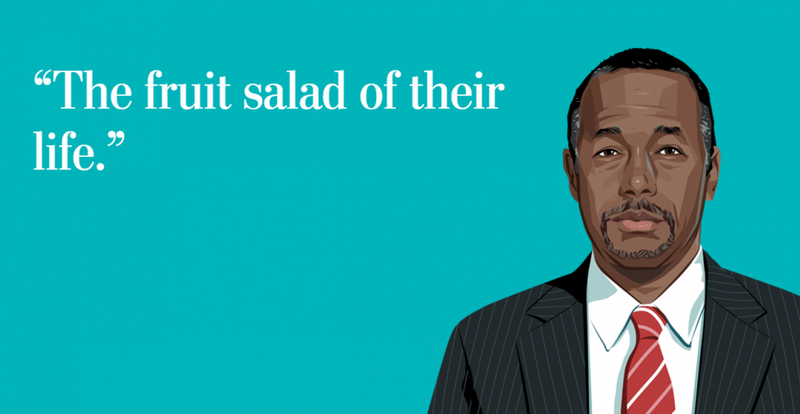 What Carson argued for is examining what he has called the “fruit salad” of someone’s life, and if you think that Trump’s fruit salad is rotten you’re probably not alone. Carson also announced that he would be chairing an organization dedicated to mobilizing people of faith, and he has thrown his support behind someone who couldn’t quote the Bible if he tried. So why would Carson do this? In his own words, he was bribed by Trump. Carson was interviewed after his endorsement of Trump and was asked “”you’ve, when you sat down with [Trump] that [an advisory position] was discussed?” Carson simply responded “yes.” Given that Carson wasn’t ruling out being Trump’s Vice President while still in the race, I can only imagine what direction the conversation took. If suggesting that Trump had bribed him wasn’t bad enough, he told everyone that he endorsed Trump because there are “two different Donald Trumps.” This undercuts Trump’s entire campaign. Remember how Cruz’s rivals seized on the video of him declaring behind closed doors that gay marriage wasn’t a top three priority? A few weeks ago Trump was attacked by his rivals for what he said in an off the record interview with the New York Times and although we don’t know what he said, there’s a reason that people suspect he contradicted what he says every day, which is a problem for someone selling his authenticity. So it was even worse for Trump when he agreed with Carson, saying “perhaps there are two Donald Trumps,” and then flip flopping about himself, later saying “I don’t think there are two Donald Trumps.” Maybe Carson endorsed Trump just so he could get a better look inside his head for further study. This leaves me wondering what Trump promised Chris Christie that could make it worth the humiliation he’s been suffering under Trump (when you have to tell reporters “I wasn’t being held hostage” at a Trump press conference, you’re in trouble). I’ve previously written about how I have no idea what Christie has been thinking, and I don’t think we have any clearer idea than what I thought about here. This leads us to Cruz’s strange endorsements. Jeb’s brother Neil joined Cruz’s campaign while Marco Rubio was still running, but Jeb’s endorsement did come out of nowhere. The most important consequence of this seems to be a lessening of momentum for John Kasich, who would have been more logical for Jeb to endorse. However, Kasich came in fourth in a three man race in Arizona, losing to Marco Rubio (a lot of Arizona voters vote early, but still)! Meanwhile, Jeb’s other brother, George W. Bush has said “I just don’t like that guy [Ted Cruz],” so that probably makes for an interesting family conversation. Graham’s endorsement of Cruz is probably a little more interesting, because it isn’t really an endorsement. A few weeks ago, Graham was joking about Cruz’s murder, and now he’s fundraising for him. He also has said that Kasich would be a better President than Cruz and has a better chance of beating Hillary (his latter point is indisputably true), but that Cruz is the only viable non-Trump candidate. In an interview on the Daily Show, he repeatedly started laughing every time he was talking about how he liked Cruz, at one point saying that “he was my fifteenth choice” and that the only things he likes about Cruz are that he’s not Trump and that he’s a Republican. Watch for the whole interview for yourself here. It’s well worth your time. It’s often said that politics makes for strange bedfellows, and I think this week proves that that is indisputably the case. Next Next post: Profiles in History: On, Wisconsin!